I was supposed to take a little getaway to Austin to see my sister and a good friend from university this weekend, but unfortunately, my plans fell through at the end (this seems to be a theme for my travels this year, actually), and so I'll be staying home in San Antonio for the time being. There is a consolation prize at the end of the summer, I suppose, and so for now I'll be looking forward to that. I hate the process of travelling (driving, flying, whatever), but I do love travel outfits. 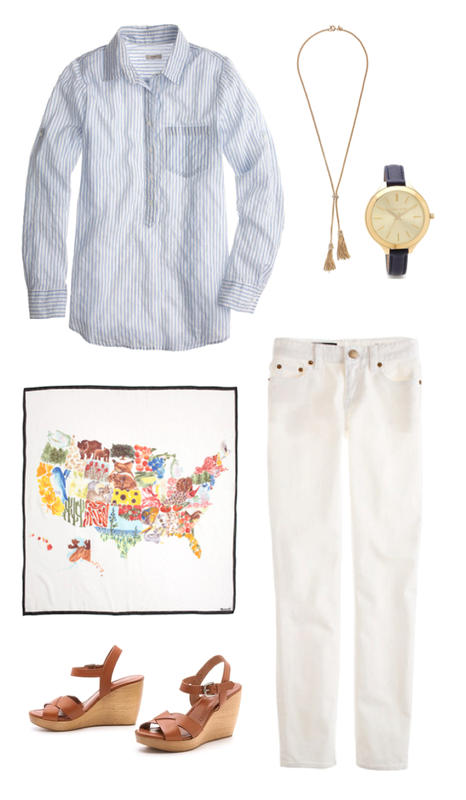 And so if you're luckier than I am with your travel plans this summer (and I very much hope you are), here's an outfit for getting from place to place--light and casual, but still just polished enough.